High-speed ball movement, ferocious penalty corner flicks and some sublime midfield play were the ingredients of a high-voltage encounter between two unbeaten teams at the Asian Champions Trophy. Hosts Malaysia, with the fans behind them and India, the sixth-ranked side in the world, dished out a style of play that will be difficult to emulate in the semi-finals. In the end, India, who were down to ten men for almost the whole of the fourth quarter, have reserve goalkeeper Akash Chikte to thank and Rupinder Pal Singh for coming up with a terrific flick that ensured they walk away 2-1 winners in their last group match at the Kuantan Stadium. India now have 13 points from four wins and a draw and sit on top of the group. Malaysia, unbeaten coming into the match against India, have a game against South Korea which will decide their ranking in the group. But the hosts are also through to the semi-finals; only the potential opponents in the last four need to be figured out on Thursday. India and Malaysia both embraced speed as a choice of weapon. Forwards of both the teams were fast and sharp in cutting into each other’s striking circle. However, the goals came from penalty corners. Rupinder’s double strike gave India victory while Malaysia stemmed the rot with Razie Rahim’s penalty corner strike but then couldn’t do much with the next five they earned. With PR Sreejesh not playing, India’s reserve goalkeeper Akash Chikte came in for his second consecutive match. He might have been slightly jittery against the Chinese despite not conceding against them but as the match wore on against Malaysia, Chikte decided it was time to give competition to Sreejesh. 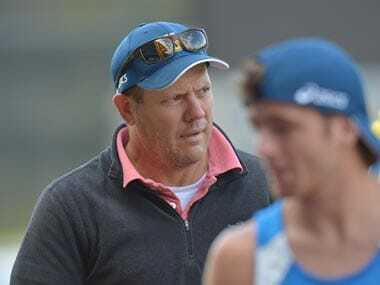 In fact, in the post-match press conference, Indian coach Roelant Oltmans, jokingly pointed towards Sreejesh and said, "I don’t know if he is still the No 1." Chikte’s positioning on the penalty corners was perfect. During the sixth one that came with hardly 35 seconds left in the match, he didn’t budge off the line. Even experienced goalkeepers would have felt a bit rattled with all the pressure. Not Chikte, as he stood his ground and gloved the flick away. It was enough for India to run the clock down. Coming into this match, India had beaten Malaysia four times in their last five encounters. Except for the last 6-1 win against Malaysia, the rest of the four matches were decided by the difference of just one goal. 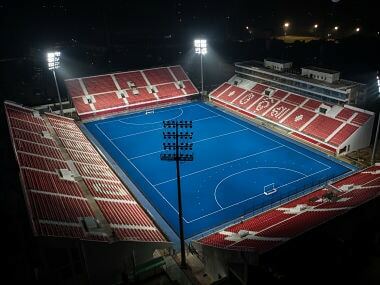 At the World League quarter-finals, India beat Malaysia 3-2; in the 2015 Azlan Shah, India lost 2-3; at the 2014 World Cup, India won 3-2 and at the 2013 Asian Champions Trophy, they prevailed 4-3. All close games. This encounter at Kuantan was no different. India took the lead in the 12th minute off their second penalty corner. But moments before the goal, Malaysia's Faizal Saari had a shot at the Indian goal in the 10th minute. Rupinder’s flick beat the Malaysian goalkeeper Kumar Subramiam but hit the cross bar and came back into play. Rupinder lurking in the middle of the circle used his long reach and hammered the ball back into goal past a diving Kumar. India could have steam-rolled Malaysia as they had a couple of chances but Akashdeep Singh and Affan Yousuf muffed them up. With the crowd behind them, Malaysia re-built fast. They held the midfield and started pushing on the flanks. Suddenly, errors appeared in the Indian defence. Two consecutive penalty corners for Malaysia and off the second they scored the equalizer. Rahim’s flick was slightly delayed but he used the space to bisect the ball between two Indian defenders to slot it beautifully. At 1-1, both the teams brought the pace down. Caution was the byword yet Malaysia had two opportunities and then Nikkin Thimmaiah and Rupinder both had shots saved by the Malaysian goalkeeper. 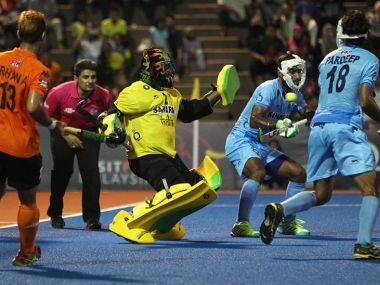 The third quarter went past quickly with India getting their third penalty corner and Malaysia earning their third and fourth in quick succession. Both teams kept their defence tight and only a big error would have seen either team lose the match. By the fourth quarter, the crowd was getting restive. They wanted a goal. And for them it looked imminent when Australian umpire Murray Grime flashed the yellow card at Surender Kumar, and sent him for ten minutes. With ten men on the field, India held back and used the long ball to create a few counters. Malaysia, on the other hand, sensing India’s defensive mindset, attacked but couldn’t score off their fifth penalty corner. India, meanwhile, against the run of play, ran down the Malaysian defence and created a penalty corner. Rupinder’s flick had enough power and pace to beat the Malaysian defence as India led 2-1. The crowd had been silenced. A ten-man team was two minutes away from securing a confidence-boosting victory. With approximately 35 seconds on the clock, Malaysia were given a penalty corner by Rasool Haider. Sardar’s tackle looked clean but India didn’t have a referral left. The hero of that moment was Chikte, using his right glove to deflect the ball away. Indian coach Oltmans called the victory a "stolen win". He explained, "Malaysia deserved a win and they played better. No doubt about that. In the fourth quarter, we discussed a change of tactics and we scored from it. I think the difference was that we scored from two penalty corners and they could manage only one." Injured Indian captain Sreejesh, who refused to speak on the nature of his injury, praised Chikte. "I was really happy to see the goalkeeper save the last penalty corner. He showed his quality and he was the game maker." 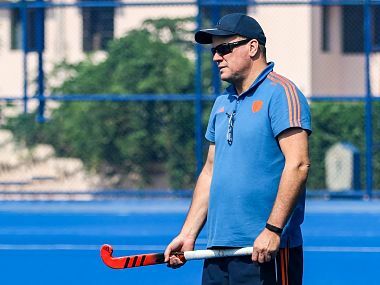 Malaysian coach Stephen van Huizen didn’t agree with the "stolen win" assessment of Oltmans. "I don’t think it was a stolen victory. India played hard and won despite ten men. Yes, we had our chances and we would have been happy with a point but I am happy we took the game to India. We are disappointed with the result but happy with our performance." Stephen said that India’s experience in playing big matches helped them when they were down to ten men in the fourth quarter. "It’s the experience that helps in close games," he said. "And they not only defended well but scored too."